Art met nature in a big way recently at the Lacerte Family Children’s Zoo’s “Arty for The Planet” event honoring Earth Day. 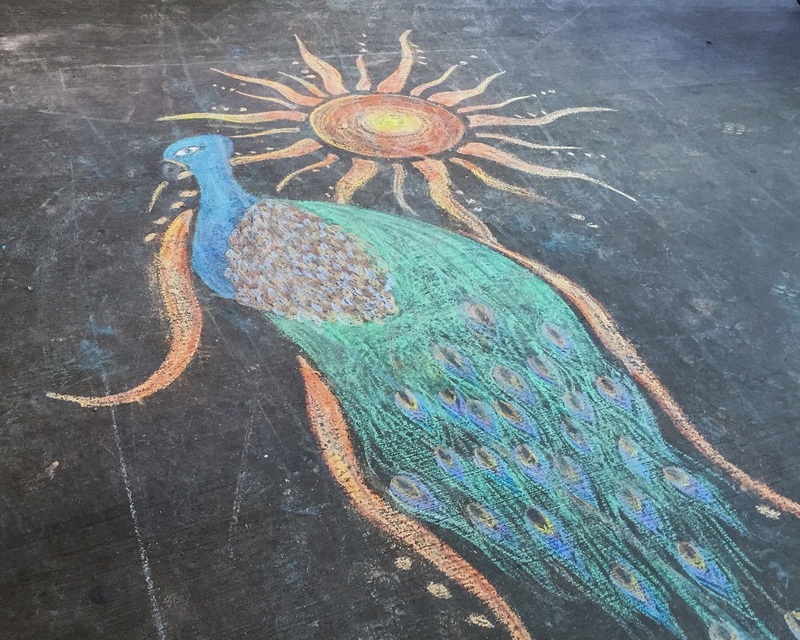 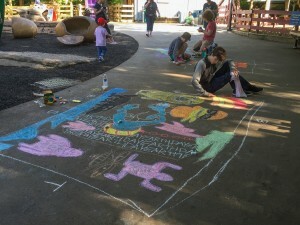 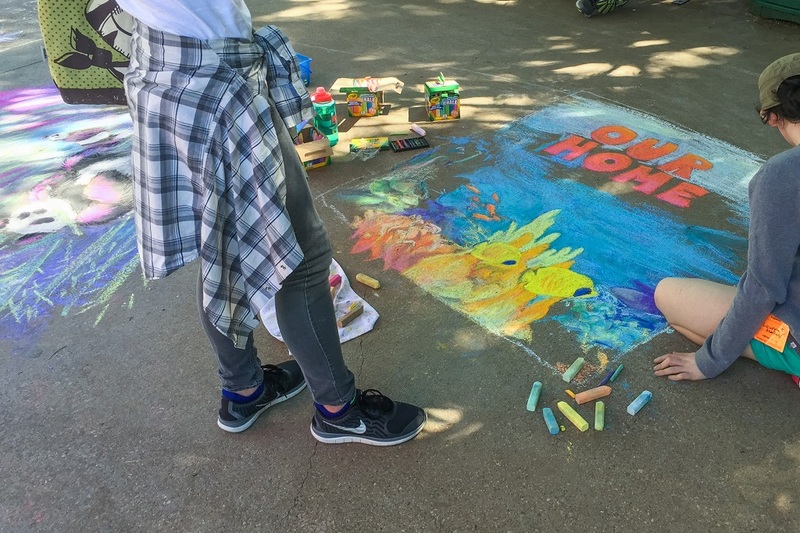 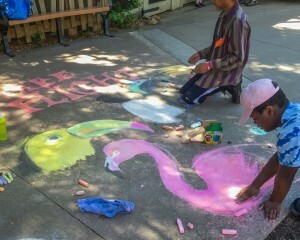 Fifteen young “Arty-ists,” along with Dallas Zoo staff members Jamiee Golden and Sina Ogunleye, created a sidewalk chalk crazy-quilt of nature art throughout the Children’s Zoo. 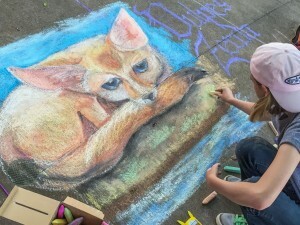 The theme was simple: what inspires you about nature? The artists responded with intricate scenes of sea life and endangered species, as well as a colorful, powerful message about the importance of bees. 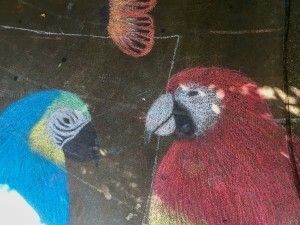 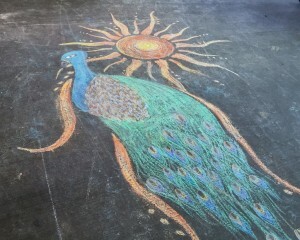 There were parrots and lions, flamingos and giraffes, pandas, tigers, and more. 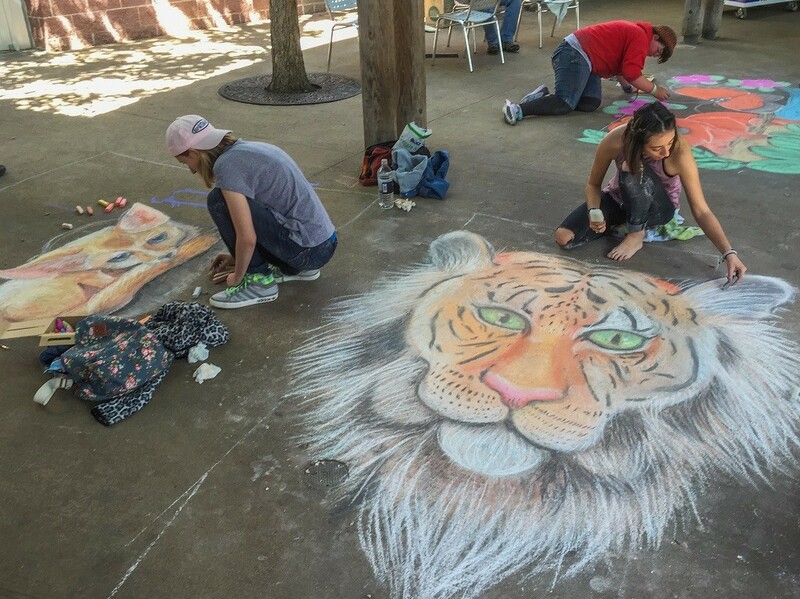 Zoo visitors as well as Zoo staff were wowed by the quality of the work. 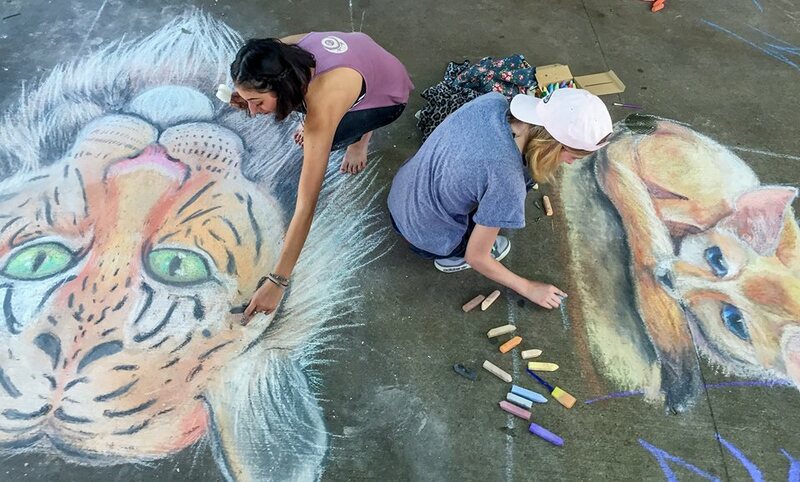 Volunteer artists included Maddie Olson, Alix Burn, Anna Czyzewski, Zen White, Lauryn Shaffer, Gabriela Noriega, Emily Henderson, Maya Endsley, Brennan Nichols, Robert Swofford, Leah Lara and Shelby Linker from Booker T. Washington High School for the Performing & Visual Arts. They were joined by Cameron Johnson, Seena Berryman and Katarra Smelley from the Dallas Zoo Youth Volunteer Program, who came in on their day off to participate. 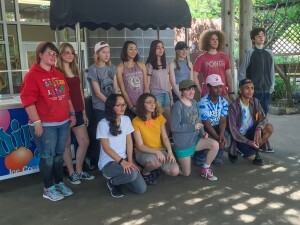 For Shannon Linton, educational supervisor for the Zoo’s Youth Volunteer Program, the event was gratifying on two levels.